Retirement villages Sandton are set in luxury while close to essential amenities like top medical care facilities. There’s never nothing to do in the ‘capital’ city of entertainment and commerce. Yet, you can relax in established luscious gardens designed for the distinguished senior. This retirement village is in the heart of Sandton and features secure and comfortable accommodation in a pleasant community-based environment. The residents’ individual needs are catered for by the staff and management in a caring and loving way. You’ll be close to Sandton City so you can enjoy shopping to your heart’s content. And when you’re tired of the hustle and bustle, you can retreat to Willowbrook Retirement Village where all you hear and see are beautiful gardens and chirping birds. 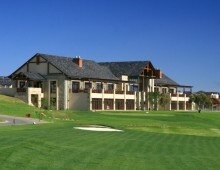 Waterfall Valley is phase two of Waterfall Hills – an award-winning retirement estate. Residents can select from a number of luxurious one, two or three bedroom free-standing designs. The estate has state-of-the-art security and is close to the Sunninghill hospital as well as the Netcare Waterfall Clinic. Plus, if shopping is your thing, then there a variety to choose from close to the estate. 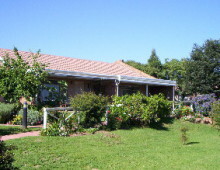 This is the ideal place for over 50s, it’s close to the Olivedale Clinic, offering family members peace of mind, yet it also offers residents a tranquil and splendid place to retire. Summerfield Park is a country-style retirement village that offers low-, mid- and frail care in a variety of accommodation including en-suite single and double rooms. Personalised care is provided under the supervision of a qualified matron and senior nursing staff. string(1953) "Retirement villages Sandton are set in luxury while close to essential amenities like top medical care facilities. There's never nothing to do in the 'capital' city of entertainment and commerce. Yet, you can relax in established luscious gardens designed for the distinguished senior. These are some of the best retirement villages Sandton has to offer... Retirement Villages Sandton: Willowbrook Retirement Village Sandton This retirement village is in the heart of Sandton and features secure and comfortable accommodation in a pleasant community-based environment. The residents' individual needs are catered for by the staff and management in a caring and loving way. You'll be close to Sandton City so you can enjoy shopping to your heart’s content. And when you're tired of the hustle and bustle, you can retreat to Willowbrook Retirement Village where all you hear and see are beautiful gardens and chirping birds. Read more here… Waterfall Valley Retirement Village Sandton Waterfall Valley is phase two of Waterfall Hills - an award-winning retirement estate. Residents can select from a number of luxurious one, two or three bedroom free-standing designs. The estate has state-of-the-art security and is close to the Sunninghill hospital as well as the Netcare Waterfall Clinic. Plus, if shopping is your thing, then there a variety to choose from close to the estate. Find out more here… Summerfield Park Retirement Village Sandton This is the ideal place for over 50s, it's close to the Olivedale Clinic, offering family members peace of mind, yet it also offers residents a tranquil and splendid place to retire. Summerfield Park is a country-style retirement village that offers low-, mid- and frail care in a variety of accommodation including en-suite single and double rooms. Personalised care is provided under the supervision of a qualified matron and senior nursing staff. Find out more here…    "
string(129) "The retirement villages Sandton boasts offer upmarket accommodation that is convenient and close to major shopping and amenities." string(3122) "Retirement villages Sandton are set in luxury while close to essential amenities like top medical care facilities. There's never nothing to do in the 'capital' city of entertainment and commerce. 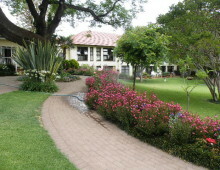 Yet, you can relax in established luscious gardens designed for the distinguished senior. These are some of the best retirement villages Sandton has to offer... Retirement Villages Sandton:   Willowbrook Retirement Village Sandton This retirement village is in the heart of Sandton and features secure and comfortable accommodation in a pleasant community-based environment. The residents' individual needs are catered for by the staff and management in a caring and loving way. You'll be close to Sandton City so you can enjoy shopping to your heart’s content. And when you're tired of the hustle and bustle, you can retreat to Willowbrook Retirement Village where all you hear and see are beautiful gardens and chirping birds. Read more here… Waterfall Valley Retirement Village Sandton Waterfall Valley is phase two of Waterfall Hills - an award-winning retirement estate. Residents can select from a number of luxurious one, two or three bedroom free-standing designs. The estate has state-of-the-art security and is close to the Sunninghill hospital as well as the Netcare Waterfall Clinic. Plus, if shopping is your thing, then there a variety to choose from close to the estate. Find out more here… Summerfield Park Retirement Village Sandton This is the ideal place for over 50s, it's close to the Olivedale Clinic, offering family members peace of mind, yet it also offers residents a tranquil and splendid place to retire. Summerfield Park is a country-style retirement village that offers low-, mid- and frail care in a variety of accommodation including en-suite single and double rooms. Personalised care is provided under the supervision of a qualified matron and senior nursing staff. Find out more here… Riverside Manor Retirement Village Sandton   This retirement village is set in a massive eight hectares in the suburb of Sunninghill in Sandton.It's surrounded by a river and beautifully landscaped gardens and a swimming pool. Riverside Manor retirement village is also close to retail centres, sporting clubs and top medical care centres, including Sunninghill Medi-Clinic. Read more here… Pembury Lodge Retirement Village Sandton At this retirement village, you can enjoy spacious accommodation, ranging from one bedroom with an en-suite bathroom and Studio Apartments. The retirement village's driver takes residents to doctors’ appointments and shopping once a week. You can participate in arts and crafts, quiz games and bingo, or read a book from the on-site library. Read more here… Waterfall Hills Retirement Village   This retirement village is situated next to the esteemed Waterfall Equestrian Estate, between Kyalami and Sandton. At Waterfall Hills, you can enjoy super comfort, top care and security in a luxury environment. There is also a variety of choice when it comes to sports and other activities to keep you busy. Read more here…"